The Paniolo Preservation Society (PPS) was formed in 1998 as a non-profit 501-c-3 to help preserve the cowboy heritage of Hawaii. PPS members recognized the need to safeguard this proud legacy, but collecting stories and artifacts wasn’t enough, the goal of PPS was to share this legacy with the world. In cooperation with Parker Ranch, PPS is restoring the century-old, Pukalani Stables as Waimea’s first Paniolo Heritage Center. With your support ‘The Stables’ will continue to be an educational and recreational hub for visitors, students and the Big Island ranching community. Revenue from memberships, facility rentals and much needed donations will drive our current efforts and fund future projects. Cowboy Up and Join the Paniolo Preservation Society today! The Paniolo Heritage Center is the culmination of a decade of determination and hard work from many individuals. Along the way PPS has kept the flame alive through community involvement and action. PPS’ first major initiative was to engage the services of Fred Fellows, a well-known Western artist, to design and execute a larger-than-life bronze statue of legendary paniolo Ikua Purdy roping a wild steer. Purdy worked at Parker Ranch prior traveling to Cheyenne, Wyoming in 1908 where he shocked the world by winning the steer roping event in record time. Ikua’s victory demonstrated the exceptional skills of the paniolo to mainland cowboys who long regarded rodeo and roping as their own domain. The PPS commissioned statue of Ikua Purdy is located in downtown Waimea and enjoyed by locals and visitors from around the world. In 2008 the Paniolo Preservation Society honored the centennial of Ikua Purdy’s championship victory by sponsoring local events and by attending the festivities at Cheyenne Frontier Days in Wyoming. PPS sent a dozen paniolo, including artisans, a saddle maker, musicians, and another dozen dancers, teachers and crafters to Wyoming for the celebration. American and Hawaiian cowboys celebrated the paniolo together and awareness was raised for the establishment of a Paniolo Heritage Center here in Waimea. 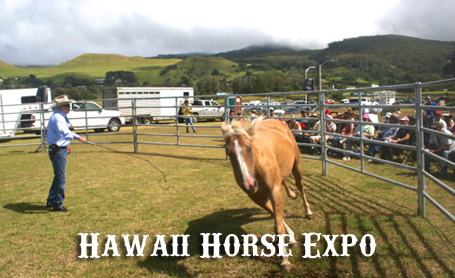 Along with celebrating the history of ranching in Hawaii, a primary mission of PPS is education. Understanding one’s history builds pride in the community and furthers discussion in meeting today’s challenges. PPS determined that its educational program would emphasize the critical importance of self-sufficiency in agriculture and ranching by teaching the historical background of those industries. The values essential to successful ranching are values worth teaching to our children: dedication, good work habits, loyalty to the ranch, self-confidence and community participation. PPS will continue to reach out and welcomes participation from schools and community associations. Cowboy Up and Join the Paniolo Preservation Society today!